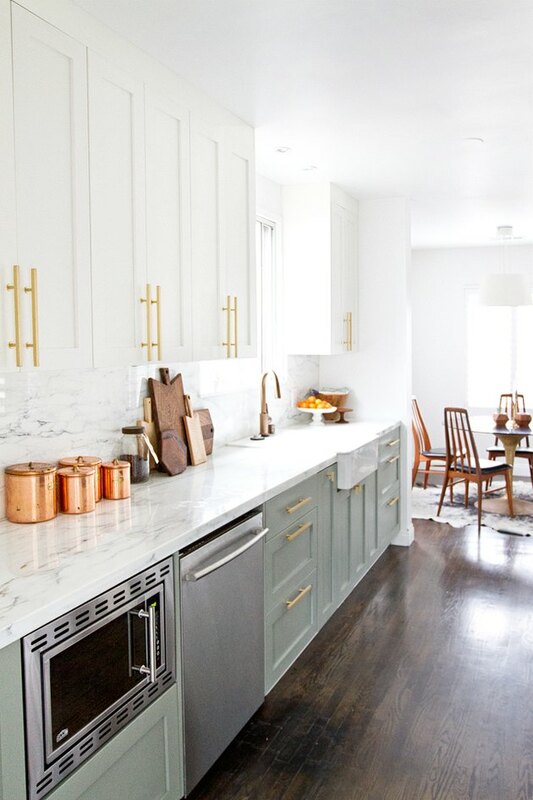 When it comes to kitchen cabinet hardware, are we thinking yay or nay? There are pros and cons to both sides of the debate. Maybe you can't say no to the opportunity to add an extra accent to your culinary space, or maybe you're renting and looking for a landlord-approved decor upgrade. Perhaps one style feels more cohesive with the rest of your home, or perhaps you really don't care and want to do whatever is most affordable. 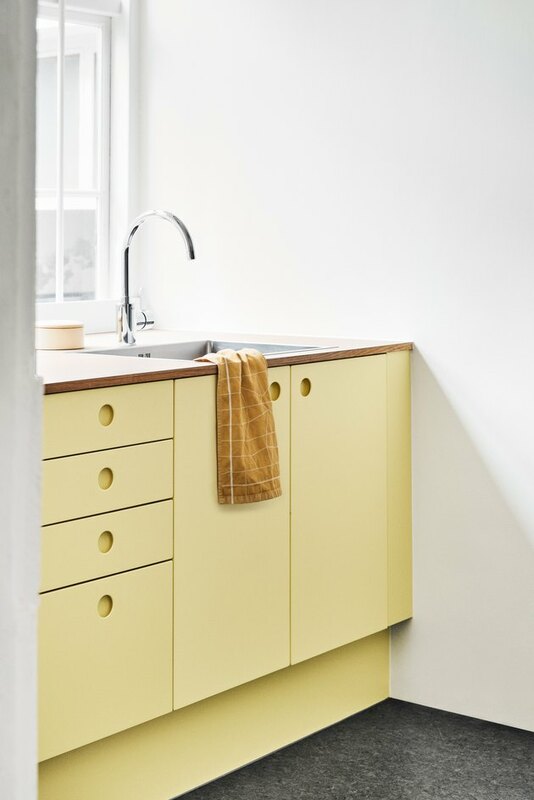 Regardless of your personal reasons, there are so many options to consider that can make deciding whether to go sans cabinet hardware or not a bit confusing, but these eight reasons might help tip the scales one way or the other. 1. Hardware presents an ideal opportunity to show off your style. With so many designs and finishes to choose from, cabinet hardware is an ideal way to add a little signature style to your kitchen. 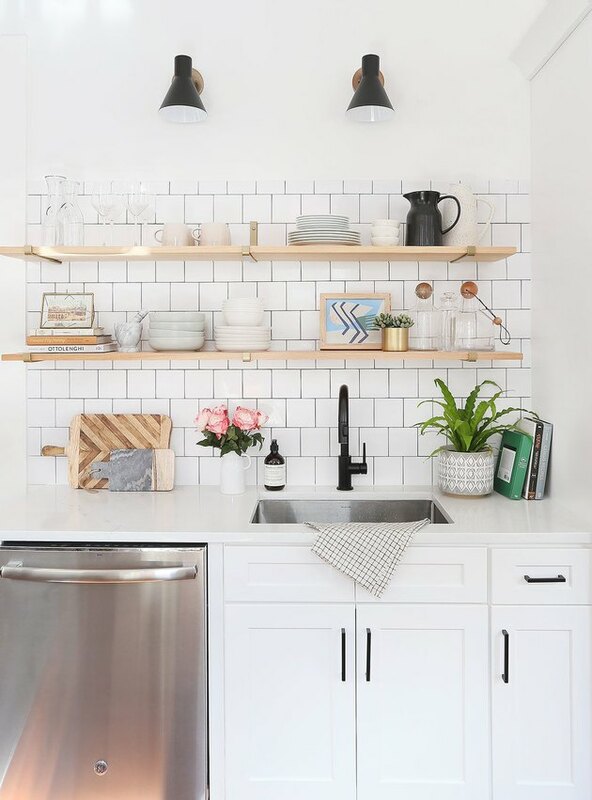 It worked for The Everygirl co-founder Danielle Moss in her white kitchen featuring sleek, high-contrast black hardware. 2. It protects your cabinets from hands covered in food. No matter how clean you keep your kitchen (or your hands), when you open and close cabinets frequently, they're going to get dirty. Cabinet hardware can help reduce the amount of dirt, oil, and sticky fingerprints left behind on your freshly painted built-ins — especially if your cabinets are white like the ones in this kitchen designed by Erin from Sunny Circle Studio. 3. It makes cabinets easier to open. Think about all those times your hands are greasy because you're mid-meal prep but need to grab an extra mixing bowl — sometimes, having a knob or pull is just easier. Plus, if you have kids or grandparents living with you, easy-to-grab hardware makes opening cabinets hassle-free. 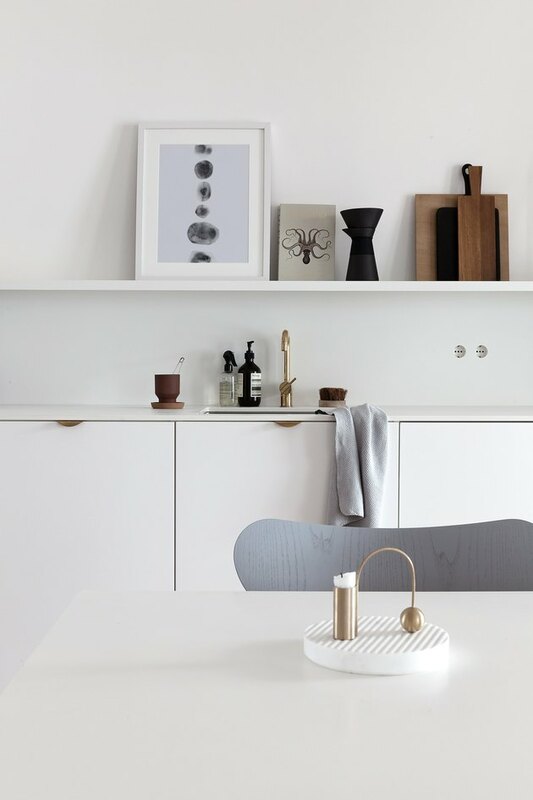 And we just love the modern pulls (Superfront Holy Wafer Handle) Sarah from Coco Lapine Design chose for her Scandi-chic kitchen. 4. Swapping out hardware is an affordable upgrade. If new cabinets aren't an option, a cost-effective way to give your kitchen a makeover is by changing your existing hardware for something with a little more flair. With prices starting at under a dollar per knob or pull, updating your look can be ultra-affordable. For example, designer Sarah Sherman Samuel found these brass beauties by Lewis Dolin Hardware and they're surprisingly budget-friendly. 1. Cutout cabinet pulls are a chic alternative. While some styles of cabinet hardware might look good, they might not be your cup of tea. And that's OK. Sometimes, simple is better. But if you're nervous about going cold turkey, try cutout pulls instead. 2. Integrated handles complement designs with clean lines. 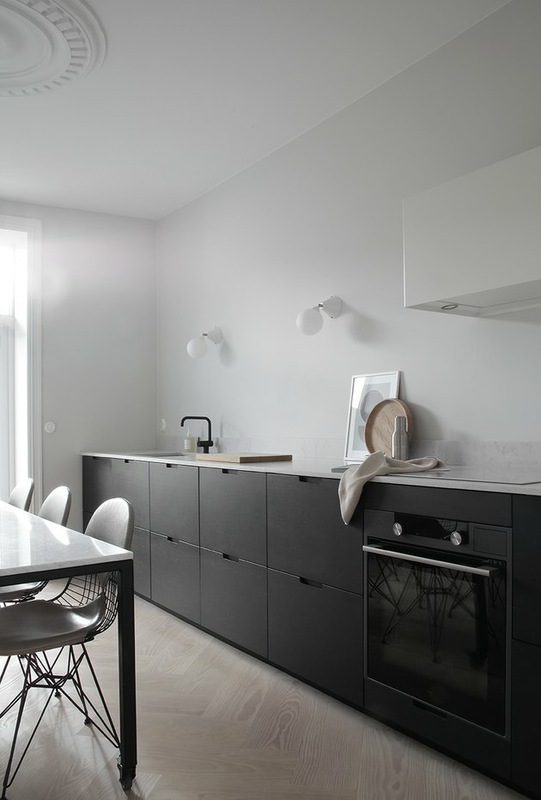 Or, follow the lead of the team over at Maly Krasota Design and go with an integrated handle — or a beveled edge at the top of the drawer or door — like they did in this minimalist kitchen. It's the perfect choice if you like the idea of a pull but don't really want to cut a hole in your cabinet door. Plus, you still get the ease of hardware with a look that's much more seamless. 3. There aren't any visual interruptions. When you have dark wood cabinets this gorg you want as few interruptions as possible. 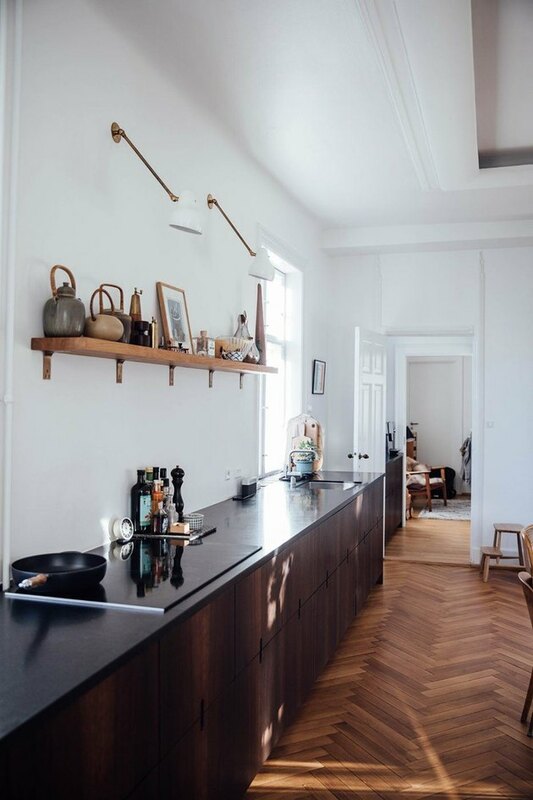 Between the black countertops, chocolate cabinet finish, and herringbone wood floors, jewelry designer Anders Forup's kitchen is a culinary masterpiece. You hardly even notice the cutout pulls, which allow the beauty of the cabinets to take center stage. 4. It blends beautifully with Scandinavian design. 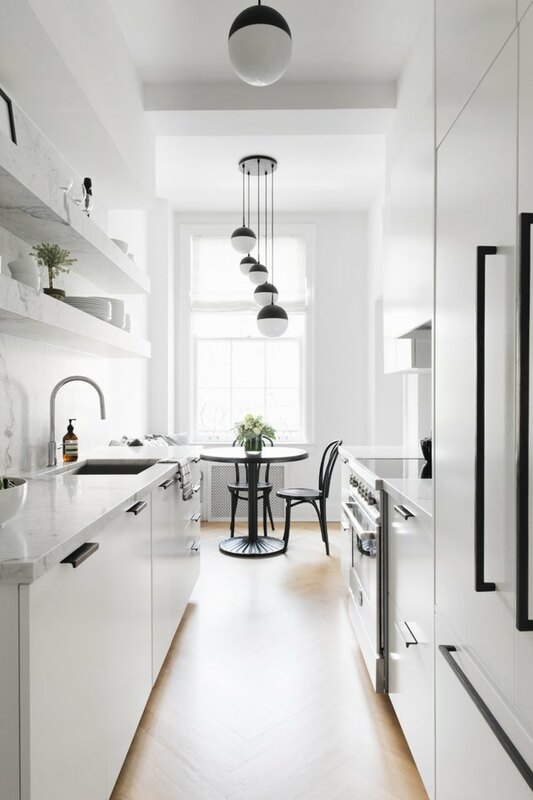 Cabinets without hardware work beautifully with Scandinavian minimalist interiors — like designer Elisabeth Heier's dramatic cook space — due to their seamless, uninterrupted appearance. 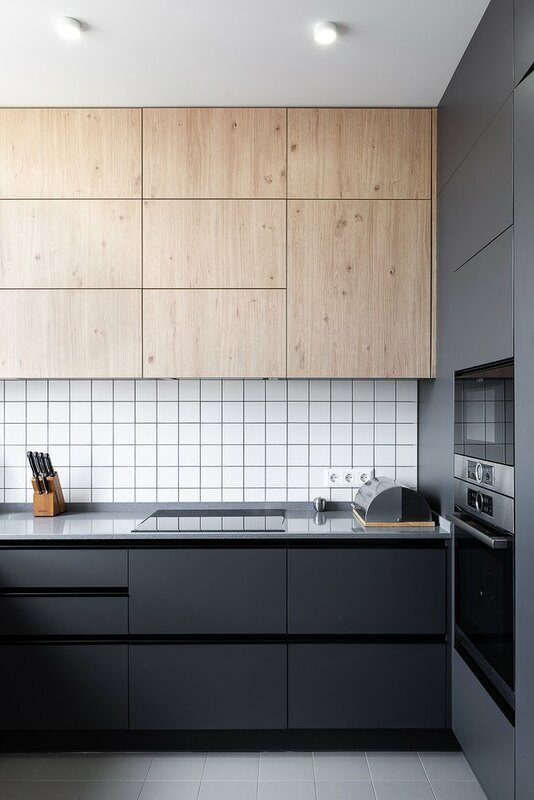 And can we talk about those black cabinets paired with light wood herringbone floors? Swoon!